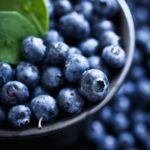 The following blueberry and grape seminars will be held in Jackson and repeated in Swain County. 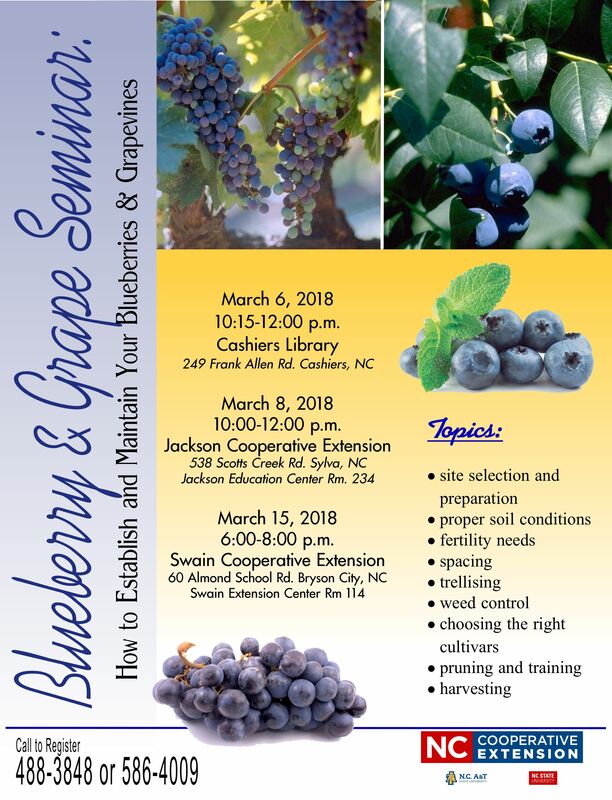 Tuesday March 6th at the Cashiers Library on 249 Frank Allen Rd Cashiers, N.C. from 10:15 – 12:00 p.m.
Thursday March 8th at the Jackson Extension Center on 538 Scotts Creek Rd. Sylva, N.C. 2nd floor in room 234 from 10:00-12:00 p.m.
Thursday March 15th at the Swain Extension Center on 60 Almond School Rd. Bryson City, N.C. in room 114 from 6:00-8:00 p.m.